These General Booking Conditions (hereafter referred to as General Conditions) regulate the commercial relationship between HILVERSUM SLU and the user or customer for reservations made by means of the online forms which HILVERSUM SLU provides on their website www.camping-lanoria.com. Reservations made through HILVERSUM SLU websites imply express acceptance of these conditionsby the client or user of the sites, as well as of the user conditions established for user browsing on the HILVERSUM SLU websites. These conditions will be applicable regardless of the application of legal requirements on content which apply for each case. The General Conditions of Contract regulate the distance sales relationship between HILVERSUM SLU and the user or customer, in accordance with legal requirements, particularly the General Conditions of Contract Law 7/1998, dated 13 April; Law 3/2014, dated 27 March which amends the revised text of the General Law for Consumer Protection; the Personal Data Protection Act 15/1999, dated 13 December; the Retail Trade Act 7/1996, dated 15 January; and the Information Society Services and Electronic Commerce Act 34/2002 dated 11 July. HILVERSUM SLU reserves the right to make any modifications to the content of the General Conditions considered appropriate, without prior notice. These modifications may made via its websites, in any way that is admissible by law. They require compulsory compliance while they are published on the web until they are subsequently and validly modified. However, HILVERSUM SLU reserves the right in certain circumstances, to apply Specific Booking Conditions which take preference over these General Conditions when it considers appropriate, and which will be suitably notified in advanced. HILVERSUM SLU hereby notifies that the booking procedure on its website is specified in the corresponding place in order to complete the booking process. Likewise, HILVERSUM SLU hereby notifies that users have access to the conditions of use available on their website. In order to make a booking with HILVERSUM SLU on their website, the user or client expressly declares that they are aware of, understand, and accept these conditions of use and the General Conditions. Likewise, the user declares to be of legal age with the legal capacity to act required to access the HILVERSUM SLU websites and make reservations through these. The user is responsible for the confidential and responsible treatment of the identity and password obtained through registering as a customer and may not supply these to third parties. Once a reservation has been completed, the user will be able to view the booking confirmation on screen, and may print this as proof of reservation. Neither the booking confirmation nor the proof of reservation (booking printed-out by the user) are valid as invoices. The booking request can be made via phone (+34) 977 640 453 or directly on our webpage camping-lanoria.com. For Bungalows, Mobil -homes or Caravans reservations: 40% of the total. For “Offers” reservations: 100% of the total. The payment is made via credit card. You will receive a confirmation email automatically. No specific Bungalow or Mobile-home number will be reserved; you will be assigned the number when you arrive. If you have any preferences you can note it down in the observations and we will try to satisfy it. The remaining amount, along with the tourist tax, will be paid upon your arrival at the reception. The tourist tax amount is 0.50 € per night per person (+ 16 years) up to a maximum of 7 nights. A deposit of 100 € will be requested and paid at the reception. It will be refunded when you leave if the accommodation is returned in the same condition as it was delivered. 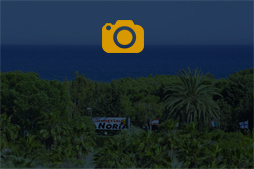 The customer should verify the confirmed reservation and notify the Camping La Noria immediately in case of any error. Any changes to a confirmed reservation must be requested in writing and be signed by the person that has made the reservation. The change, where possible, will be accepted in writing from the reservation center. The total amount of the stay must be paid in case you arrive later and/or leave earlier than the prior contracted dates. Check in: Bungalows, Mobil -homes and caravans are available to the client from 4 pm the day of arrival. Check out: The check out must be made before 12 am the day of departure. Loss of 5 % of the deposit paid, if the cancellation is received at least 30 days before the contracted date of arrival. Loss of the 50% of the deposit paid in advance, if cancellation is received between 16 and 29 days before arrival date. If cancellation is received 15 days prior to arrival date or less, the total deposit will be forfeited. 2 Night Minimum Stay from 30/3 to 04/07 and from 25/08 to 30/09. 6 Night Minimum Stay from 05/07 to 24/08. The prices are VAT included. According to the regulations set out in article 103 of Law 3/2014 dated 27 March which amends the revised text of the General Law for Consumer Protection, services or goods supplied according to consumer specifications or clearly personalized, or which due to their nature cannot be returned, or may deteriorate or expire quickly, are exempt from cancellation. In accordance with the regulations established under the Personal Data Protection Act 15/1999, HILVERSUM SLU informs its website users that personal details received by the company through its online forms will be entered into an automated database, for which HILVERSUM SLU will be liable, for the purposes of facilitating, accelerating and complying with the commitments established between both parties. HILVERSUM SLU hereby notifies you that you may exercise your rights to access, modify, cancel and oppose the processing of your personal details, by writing to this address, PASSEIG MIRAMAR 278; 43830 TORREDEMBARRA (TARRAGONA). Provided that we are not notified to the contrary, we will assume that your details have not changed, that you agree to notify us in writing of any changes and that we have your consent to respond to as many enquires that you deem necessary, and to send the requested information. Likewise, HILVERSUM SLU reserves the right to report any civil or criminal proceedings deemed inappropriate due to the unlawful use of its web pages and content, or for breaching these conditions. The relationship between the user and service provider is governed under currentlaws applicable in Spanish territory. Any conflict between these parties can be submitted to arbitration or to ordinary jurisdiction in accordance with the relevant regulations on jurisdiction and competence. The registered address of HILVERSUM SLU is in TARRAGONA, Spain.